Coolamin Tenterfield Terriers is a family owned kennel located on our farm near Inverell in north-west NSW and our Tenterfield Terriers are much-loved pets who spend their day playing in our large country garden or escorting us on adventure walks on the farm. 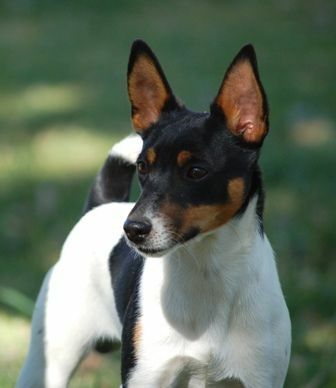 We have been actively showing our Tenterfield Terriers since 2015 but have been breeding terriers since 1994 and have always bred for correct type, temperament and soundness to produce healthy, affectionate puppies. When selecting dogs for breeding we always prioritise conformation and soundness, outgoing temperament, intellegence and beauty so are able to breed quality puppies suitable for family companions and the show ring. Our puppies are sold to approved homes only and they are vet checked, vaccinated, microchipped and wormed and come with an information pack when they go to their new homes. We have already experienced considerable success in the show ring with our Tenterfield Terriers. All of our Tenterfield Terriers and Development Register dogs are tested for PLL & CHG and are vet checked for physical soundness.